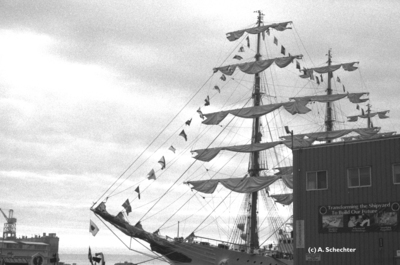 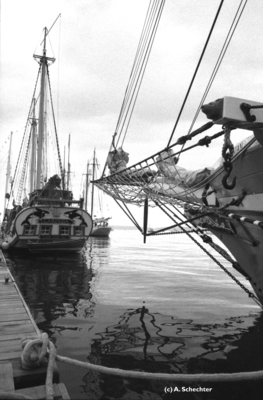 Bow of the schooner Californian, at OpSail 2000. 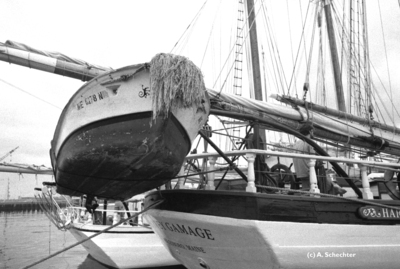 Detail of schooner Harvey Gamage, Portland harbor. 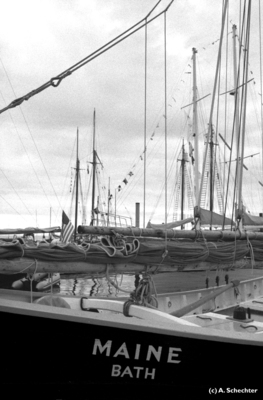 Portland harbor, before the OpSail 2000 celebration. 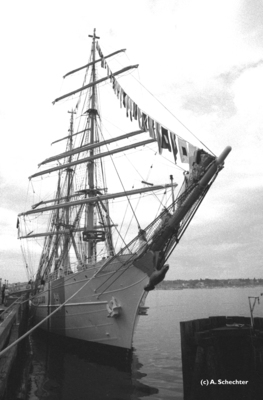 Sailing ships in Portland harbor, OpSail 2000. 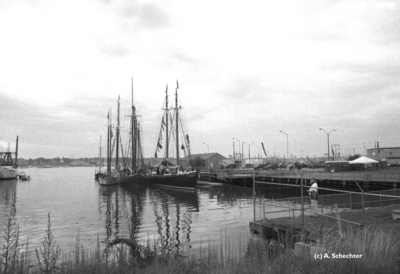 Sailing ships near Maine State Pier, OpSail 2000. 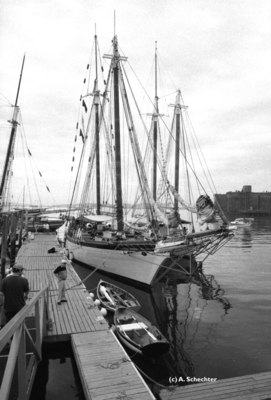 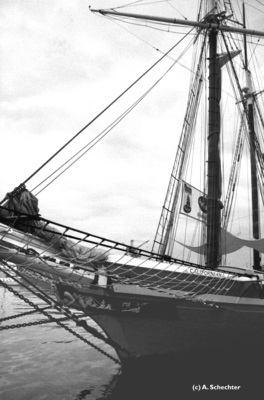 Schooner Harvey Gamage, at OpSail 2000. 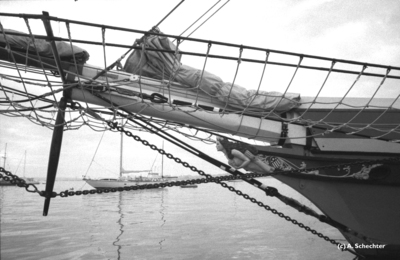 Schooner, the California, OpSail 2000. 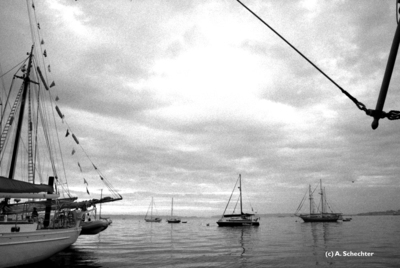 Tall ships Larinda, and the Californian, Portland harbor.